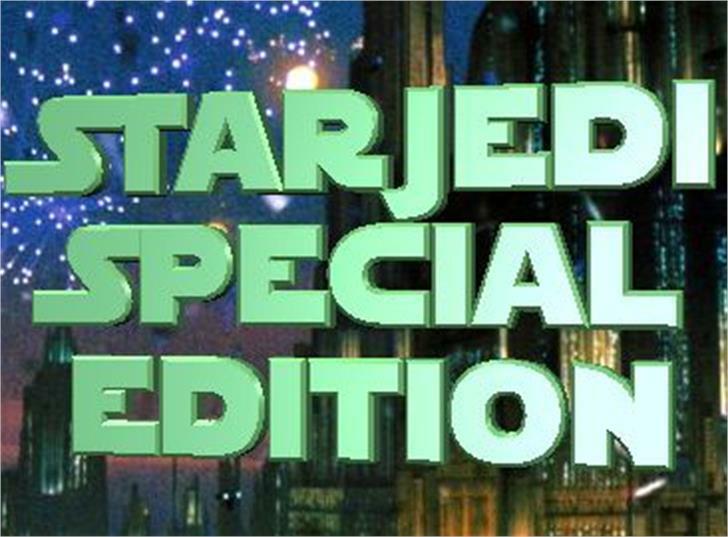 Star Jedi Special Edition is a bold font derived from the original Star Jedi. The lowercase are all capitals, while the capitals are serif variants of the lowercase. A few simple link-lines allow you to create complex letter groups, as it's shown below in the samples chapter. I also put up a link to your font on my G+ post.